Polished mirror finish inside and out. 2 non-stick egg cups. 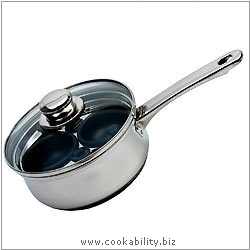 The base and lid can also be used as a small sautée pan. Toughened glass lid and steam vent.